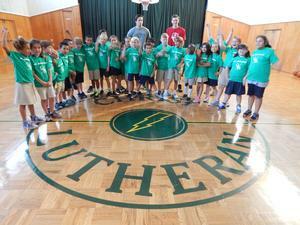 Jr. Chargers is a co-ed, afterschool sports class for Christ Lutheran students in grades 1st- 4th grade. Classes meet on Mondays from 3:30- 4:30 and run from September 17- November 8. Use this online link to pre-register and complete your registration by submitting a $50 participation fee to the school office or SAC. Space is limited. Sign-up today!